10 Things To Do This Weekend! Being in Washington D.C. is a dream to many college-aged people across the world. At Catholic University, we have the opportunity to take advantage of the attractions around the city. Sometimes, being in D.C. means that it becomes easy to take the opportunities that we have for granted. Finding something to do over the weekend can be overwhelming with all of the options you have. We shortened the list to ten activities to do with your friends this weekend. Just make sure you do not skip out on Capital Fest or Mother Teresa Day of Service! Accessible from the Dupont Circle Metro, this museum is showing a new exhibit called, “Marking the Infinite,” which features art that has been created by contemporary women artists from Aboriginal Australia. This museum of modern art is offering free admission to anyone under the age of 30 until October 7, 2018. On September 13 at 6:00 PM, the National Gallery of Art East Building is hosting an evening of Brit-inspired talks, performances, and an “exclusive first look” at the Rachel Whiteread before it opens to the public. Looking for a laugh on this dreary weekend? Kevin Hart is coming to town and tickets are still on sale for his show at Capital One Arena on September 15. The best way to get to know your city is to learn how to navigate the streets yourself. 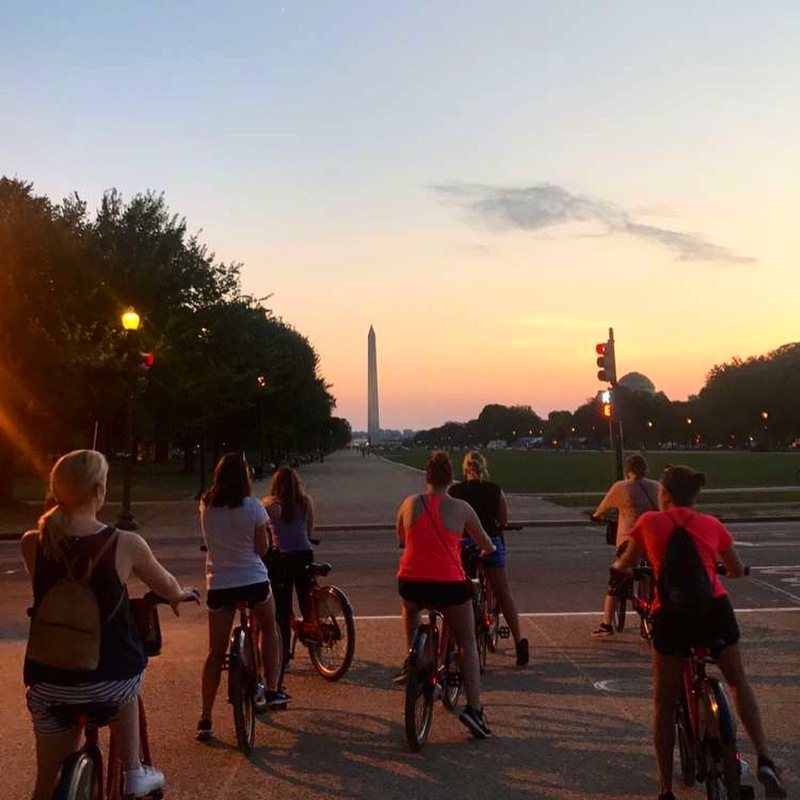 Grab a bike from Lime Bike or DC Bike Share by the Brookland-CUA Metro station and head out for an adventure with your friends. Previously held at the Washington Monument, this year’s Around The World Cultural Food Festival will be at downtown DC’s Freedom Plaza, across from the White House. Admission is free and visitors will be able to buy food and beverages from different cultures around the world while enjoying entertainment from diverse singers and dancers. If you are looking for a unique night out with your friends, DC IMPROV is the place to be this weekend. As a comedy club, restaurant, and bar, this location is the perfect place to kick-back and have a good laugh brought to you by local DC comedians and an open mic night. This week, the beloved Hirshhorn Museum is opening a new exhibit called Sean Scully: Landline. This exhibit will feature expressive paintings that represent the “beauty and brilliance of the natural world.” Be one of the first people to see the new gallery which will be open from September 13 through February 3. Although Alexandria may seem far away, the trip is worth it if you like 18th and 19th-Century styled buildings and visiting speciality shops. The waterfront area has a unique charm with street performers and boutiques. The Torpedo Factory is an old naval munitions factory that has been repurposed into an art center for local artists, making a perfect place to wander around on a rainy day. There are twenty Smithsonian Museums in the DC area. There is a museum or attraction for anything that you or your friends would be interested in from Air and Space to American Indian history. All Smithsonian museums are free of charge so you can go to multiple places in one day without breaking the bank. This weekend is one of the few weekends that you have a legitimate excuse to pass on exploring the city. If you want to avoid Hurricane Florence, this weekend is an acceptable time to grab a bucket of popcorn and binge watch your favorite Netflix series to avoid the heavy rains….